Megasoft has a long history of expertise in banking and ITinfrastructure with more than two decades of experience. 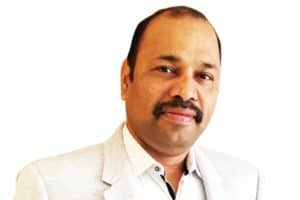 Megasoft is also a system integrator for e-governance and healthcare domains with solutions being executed with various partners and Original Equipment Manufacturers (OEM), says Dinesh Shetty, Managing Director, Megasoft Information Systems Pvt Ltd, in conversation with Arpit Gupta of Elets News Network (ENN). Please give us an overview of Megasoft. Megasoft Information Systems Pvt Ltd is a core banking solution provider for financial institutions in India. Megasoft provides end-to-end solutions to financial institutions ranging from infrastructure, networking to application software. With over two decades of expertise and a host of quality offerings in products and services, Megasoft has established itself as a premium player in the space of information technology across India and Asia Pacific. Our vision is to enable customers improve their operational efficiency with the help of technology to optimise, scale and perform effectively and efficiently. Megasoft believes in offering quality and affordable IT solutions to its customers and works closely with them in project management, advisory, consulting, implementation and capacity building.With these offerings, Megasoft is still striving to achieve the highest degree of satisfaction amongst our clients. What is your vision of IT in the cooperative sector? Tell us more about Megasoft’s digital solutions which are being implemented in the Cooperative Department of Uttar Pradesh. Empowering the cooperative sector with digital channels and implementing new age technologies is our vision. In Uttar Pradesh, district co-operative banks were the first on three-tier architectures to issue RuPay Card/KCC card in February 2014; bank on wheels in July 2015; and thereafter implementation of digital channels like Direct Benefit Transfer (DBT), Aadhaar Enabled Payment System (AEPS) and Public Financial Management System (PFMS) with an aim to boost cashless economy and benefit farmers. Megasoft has expertise in banking, IT-infrastructure, education, e-governance and healthcare. What are your major offerings? Megasoft has a long history of expertise in banking and IT-infrastructure with more than two decades of experience. Megasoft is also a system integrator for e-governance and healthcare domains with solutions being executed with various partners and Original Equipment Manufacturers (OEM). What are your achievements in the recent years and what are your future plans? Megasoft is one of the leading core-banking solutions providers for district co-operative banks and Primary Agriculture Credit Society (PACS) in India. Megasoft has the entire product range developed in-house for this sector. Megasoft is one of the few single point solution vendors in the sector providing infrastructure services, payment solutions and core banking solutions and other allied applications. Megasoft is also one of the pioneers in providing end-to-end surveillance solutions for government and has successfully executed various projects from street level surveillance till the command centre. Megasoft also works closely as part of various Smart City projects in India. Megasoft has expanded to Asia-Pacific with offices in Thailand and the Philippines for the Fintech products and services, Big Data Analytics and idea and innovation platforms. Megasoft has also started its first off-shore development centre along with a US technology firm for application development services on Cloud technologies. Megasoft will continue to provide quality products and services through new technologies and platforms. We are also expanding to new terrains with our host of new technological products and services in the co-operative sector as well as other sector.